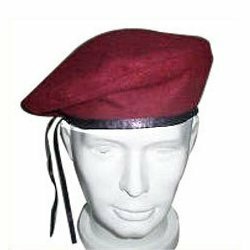 Prominent & Leading Exporter from Ludhiana, we offer multicolored beret caps, woolen beret caps, army caps with leather binding, peak caps (with rexain pipping) and beret caps. 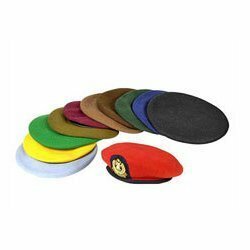 We customized Multicolored Beret Caps if clients provides with their specific requirements while placing orders of these caps as this will help us to know the quality, feel and shape of the product. aps can be customized as per the client’s specific requirements. We have a wide range of army caps which are manufactured from premium quality fabrics. Our ranges of caps are available in variety of designs and combination of colors. Available in different patterns and designs these can be customized as per the clients requirements. The product is manufactured with high quality fabrics which makes it more durable. 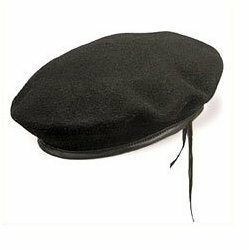 We manufacturer a wide range of caps such as peak caps, berets caps, which are made of pure wool & other fabrics. 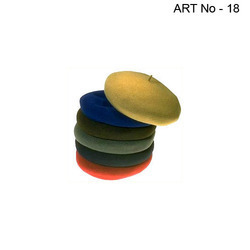 We offer our clients with a wide range of beret caps which are made from premium quality raw materials and fabrics. Beret caps are available in various sizes and colors. These caps can be customized as per the client’s specific requirements. 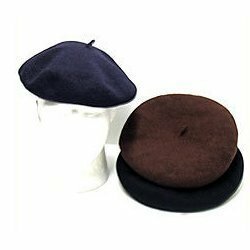 We manufacturer a wide range of Beret Caps such as Peak Caps, Berets cap, which are made of pure wool & other fabrics. 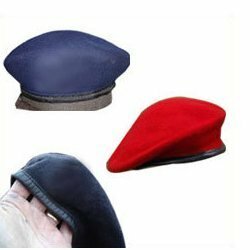 The Beret caps are made up of fine fabric to give best usage to our clients.